You never know what’s going to bubble up on the agenda of physicist Sidney Perkowitz, Emory Candler Professor of Physics Emeritus. Since the 76-year-old Perkowitz retired in 2011, he seems to pop up everywhere, from the Atlanta Science Festival to South Korean national television to a high-level policy meeting in Washington DC. After 42 years of research and teaching at Emory, he has shifted his focus from the lab and classroom to the wider world. His mission: Communicating science in ways that get people interested and better informed. Perkowitz has written six books about physics geared for a lay audience. His most successful, “Universal Foam,” was published in 2001 and remained in print through 2008, including five foreign editions. The book describes the myriad incarnations and inherent mysteries of foam, from densely packed bubbles floating atop a cappuccino to ocean white caps, soap bubbles, and exotic foamy materials used in aerospace and medicine. The documentary, “Bubbles That Can Change the World,” was funded by the South Korean government and shown throughout the country as a way to inspire children’s interest in science. During the past four years, Perkowitz has also written 20 magazine articles, given public talks, and serves on the science outreach committee of the American Association for the Advancement of Science, which takes him to Washington DC occasionally. Perkowitz is now at work on this seventh book, which has the working title "Frankenstein 2018." He is both contributing a chapter and co-editing the book, an anthology due out March 11, 2018, the bicentennial of the publication of Mary Shelley’s novel. “There is something in humanity that wants to find a way to create life and to live forever. 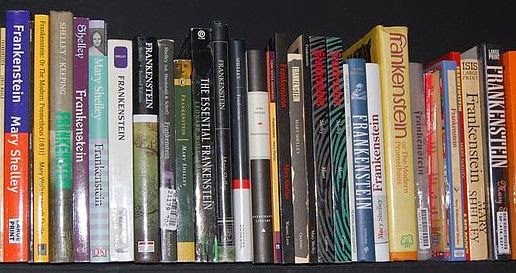 But that same desire is also full of fear,” Perkowitz says of the enduring appeal of Frankenstein. The subject is more relevant than ever. Emory’s Center for Ethics is hosting a major international gathering in Atlanta May 17 to 19, to discuss both aspirations and guidelines for the era of synthetic biology. Biotechnology and the Ethical Imagination: A Global Summit (BEINGS) will bring together delegates from the top 30 biotechnology producing countries of the world. Perkowitz’ co-editor for the book project is Eddy Von Mueller, an Emory lecturer in film and media studies. The two have already rounded up a dozen contributors for the project, from religion, the arts and sciences, and secured a contract from Pegasus Books.